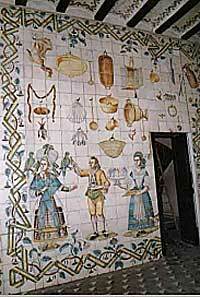 A builder from l’Alcora was arrested on Monday for trafficking in stolen art after Spanish authorities discovered 18th century hand-painted wall tiles which had decorated the Palacio de Vallvert in Valencia. The tiles had been stolen individually over a period of months. The 1,932 recovered tiles have been estimated at almost 2 million €. Authorities have not yet arrested the thieves.